Hello, Ladies, I hope you are having a wonderful day. Today I have amazing makeup tips and tutorials.Every girl wants to look perfect and gorgeous; this can be achieved easily by using the magic of makeup. 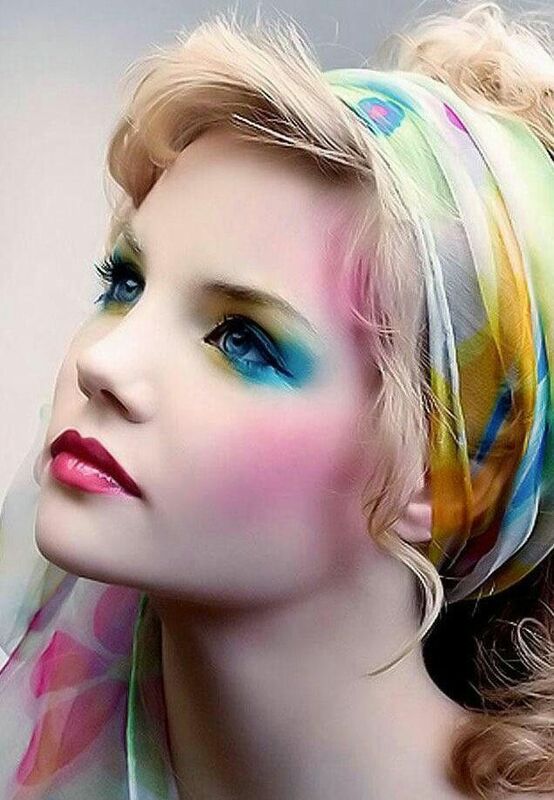 Make-up gives you that complete and beautiful look, with a radiant finish. 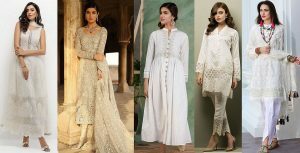 There are different types of makeup, some are for casual wear, and some are for weddings, parties, and special bridal’s makeup. Makeup products can be expensive, so it’s important to know how to use these products and make the most out of your money. Makeup is a skill or art that can be learned. Practice makes perfect. And with some of the makeup tips and tricks I am about to share with you all will help you to do your makeup much more flawlessly. First of all, I would like to recommend some makeup brands, that are excellent, these include MAC, LOREAL, Origins, Ecco-Bella, Josie Maran, Dr. Hauschka’s, and Physicians Formula. These are some of the best brands of makeup in the world; these are high-quality products and will not damage or provide any harm to your skin in any way. Today I’m going to discuss pastel makeup look that is one of the unique and soft looks. It will give you a flawless look that will complement your outfit; it’s perfect if you wear this during the day. 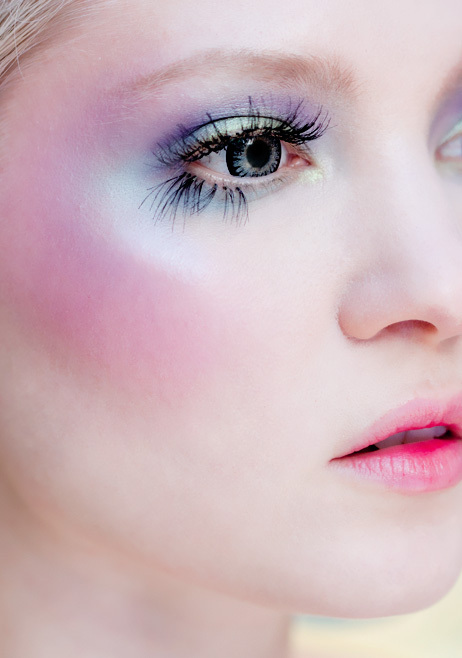 Here is the detailed steps for pastel makeup with practical makeup techniques. Are you ready for your gorgeous look? Grab your make up a bag and follow the following steps. First wash your face with enough soap or face wash and dry it. If your skin is dry, then first moisturize your skin with lotion or a moisturizing cream, making your skin soft so that your skin is prepared for makeup all day. On the contrary, if you have oily and sleekly skin? I recommend a good face wash like Himalaya Herbals, The body shop’s face washes for oily skin, Olay, Neutrogena, and Oriyana. You will need the following cosmetics in your collection. Eye base or a primer. eye pencil, white eye pencil, and black eyeliner. Let’s start with your concealer. Apply concealer gently to the darker areas of your face or pimples, now spread it or tap it with a sponge, or you can also do it with a makeup brush. Next, apply foundation with a foundation brush or sponge and set it with a face powder. Now apply primer on your eyelids. Now contour you face by using Bronzer then apply your blush. Your base is now ready. Next step is to create a perfect eye look. Eye makeup can work on every eye whether you’re old or young. Eye Primer is the best product before applying shadows on your eyelid. It covers freckles and veins, smoothing the creepy skin pretty well. 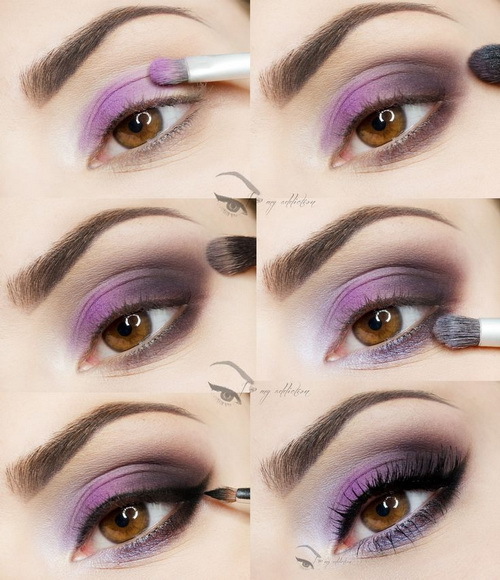 By which, shadows can blend smoothly, giving a smooth palette for apply eye colors and making it last all day. Eye primer gives a younger look to older eyelids. Some of the best primers I would recommend are, Urban Decay original primer, smashes box photo finish lid primer, ELF shadow, Mac paint pot, and clean taste slate 360 creaseless smoothing primer. Apply a primer to your eyelid and tap it by using the sponge. Use a light base shadow on your eyelid by using eye-brush blending it to the outer corners of your eyes. 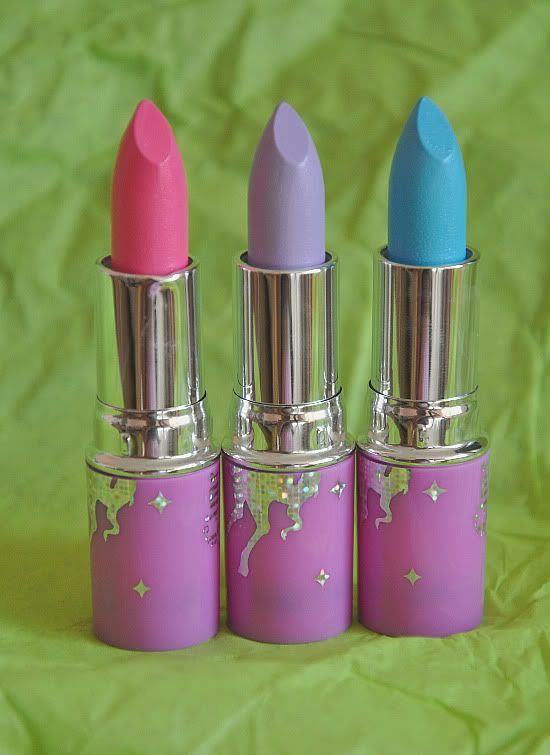 You can choose colors, coordinating with your dress. Now blend creamy light brown eye-shadow on your whole lid. Here are some long lasting eye shadows which can you use, MAC eyeshadows, LO’real Paris hip studio secrets professional matte shadow due, Maybelline Newyork eye studio color, Urban decay and Jane Iredale pure pressed eyeshadows are some of the most famous eye-shadows. Now in the middle apply the most prominent color in your dress like in the picture, I used a sky bluish color in the center. 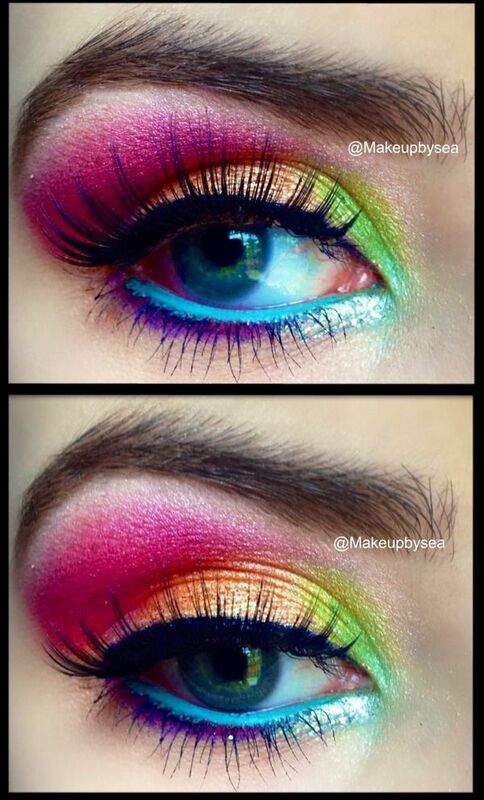 Now blend the sky bluish color towards the outer corner of your eye. After then apply the brown, golden color from the starting of the lid and blend it till the middle of the eye. Apply white pencil inside your eye line. It’s time to apply eyeliner and mascara. 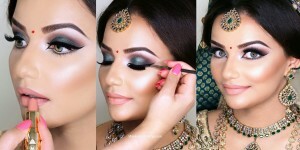 In the end, sprinkle some shimmer on your eyelid, giving shiny and attracting look to your eye. Repeat the other eye and you’re done with it. First use base to your lips. If you got dry lips, use lip balm or Vaseline to soften your lips. 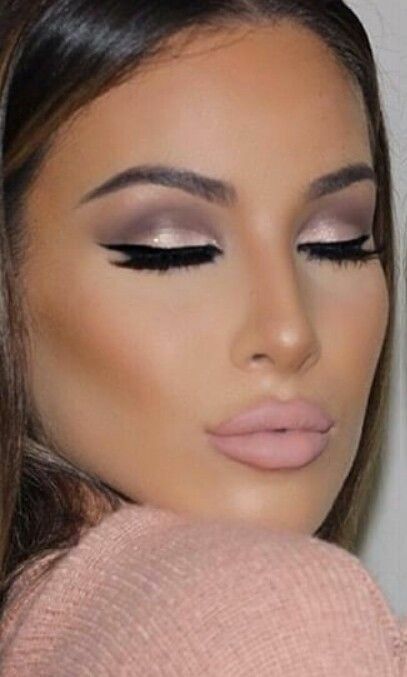 Apply foundation or concealer on your lips. 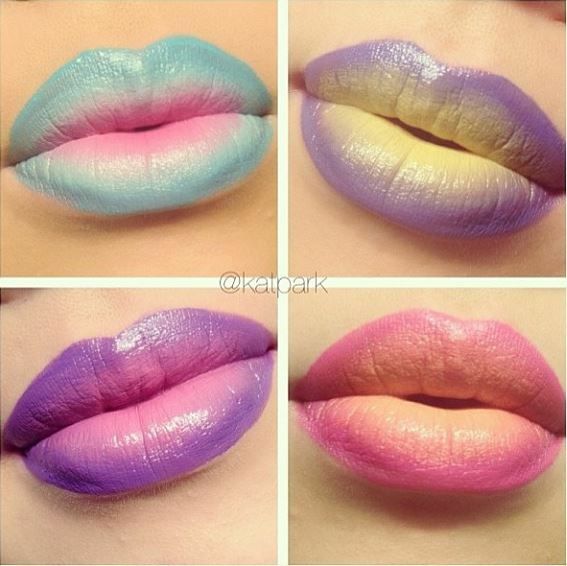 Apply shiny or right color to your lips. 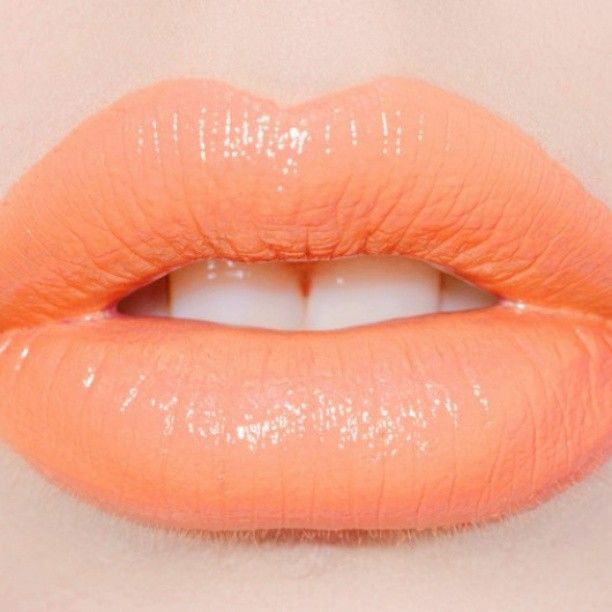 I particularly like to use MAC lip colors, use orange or pink whatever color you want to apply. 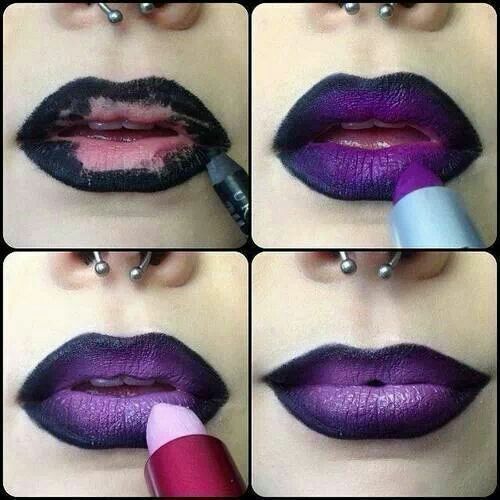 Now apply some concealer, making your lips appear lighter in color. 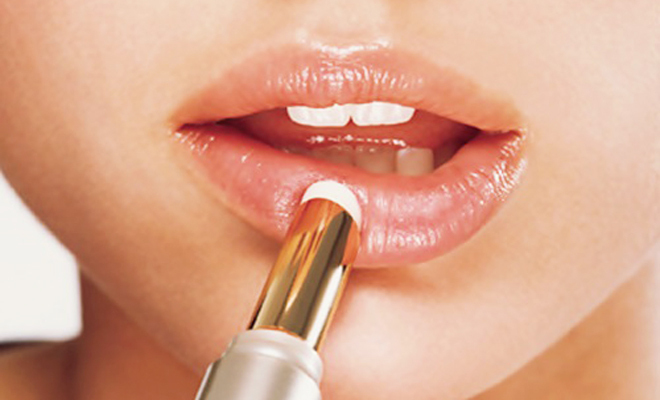 Now add some gloss, making your lips soft and refreshing. And there you have it, your lips are complete. I hope that you find these steps quickly to follow. 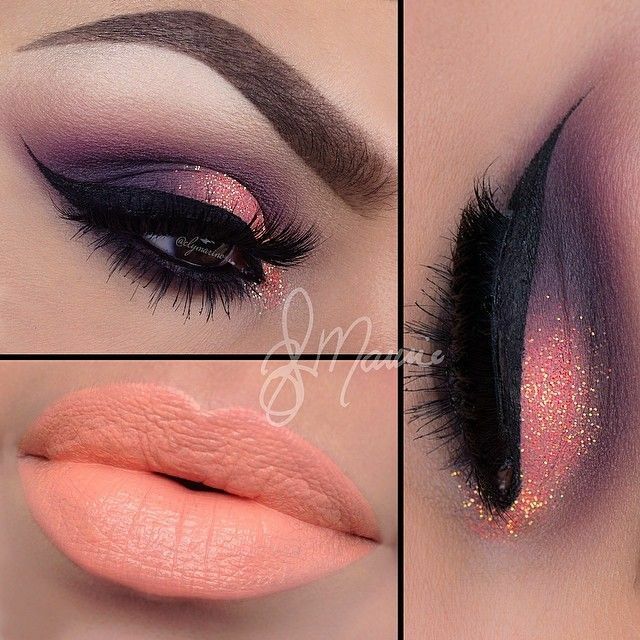 Use this tutorial to create your flawless pastel makeup and don’t forget to leave a review. We look forward to hearing from you. 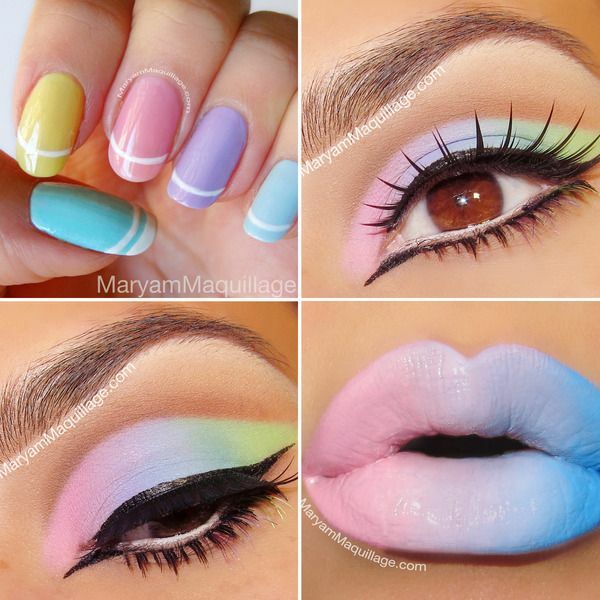 And if you want further pastel makeup ideas then see the following pictures.